What’s up with the Rams? Well, last Saturday, they didn’t really show up to the game against Hawaii until the second half. Colorado State was unprepared, lacking discipline and lacking playmaking ability for a lot of that contest before they finally got it going. 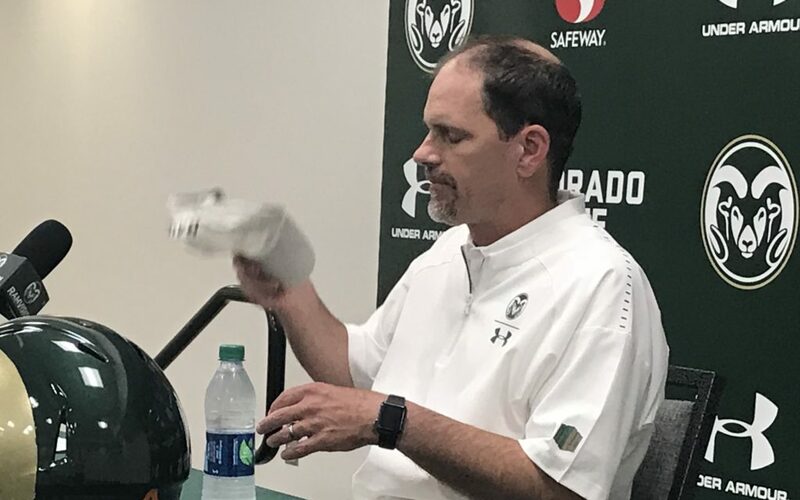 We take a deep dive into that loss and where the Rams can improve with quotes from Mike Bobo and Jordan Fogal. Then, we break down the Rocky Mountain Showdown and give you three keys to a Rams victory. Can they pull it out? It seems unlikely, but we visit the twitter poll to see what you, the fans, think. And, we give away a pair of tickets to the New Belgium Porch for the CSU – Arkansas game thanks to our partnership with New Belgium Brewing. Pay attention for the trivia question and your chance to win the tickets in the podcast. That, and much more, here.